Weaving as a hobby is now generating income for Mere Timoteo and her family. Ms Timoteo, who is originally from Rabi Island, said she inherited the skill of weaving from her great-grandparents at a young age. “Weaving is in my blood,” the 55- year-old businesswoman said. “I weave items like baskets, fans and other items as a hobby, but it has taken me to places and has generated income to support my family. “I have been nationally recognised for my handicraft as I was part of the Melanesian Arts Festival Fijian team that toured New Caledonia in 2010. “In 2012, I was part of a team that attended the South Pacific Arts Festival at the Solomon Islands,” she said. She was recently recognised at the 2015 Northern Craft Exhibition as the winner of the first and second prize in the Rabi/Kioa Fans Category and second prize in the Voivoi Basket Category. 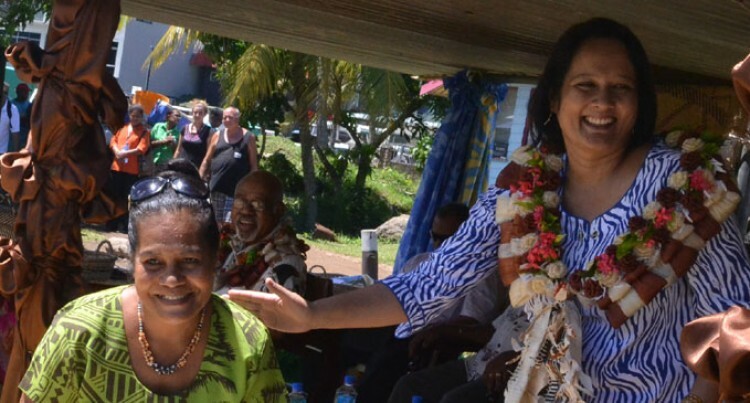 The former Rabi Council employee will be taking part at the second National Women’s Expo in Suva in October organised by the Ministry of Women, Children and Poverty Alleviation.